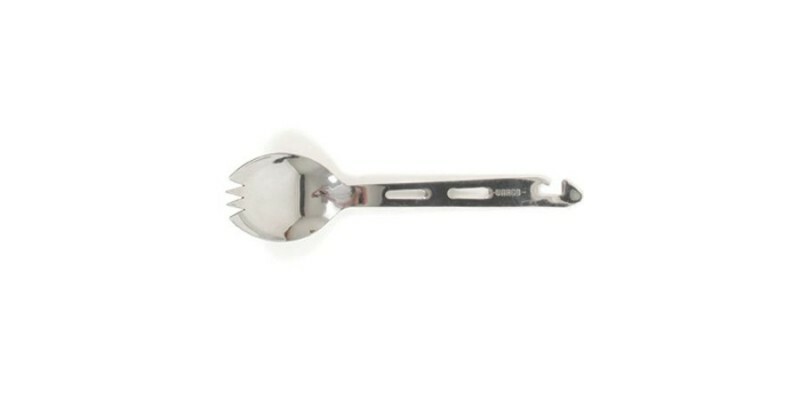 VARGO STAINLESS STEEL SCORK:Is it a spoon. is it a can opener. is it a fork...it's a SCORK! The Scork by Vargo is made of high quality polished stainless steel and is ideal for hiking and backpacking. Weight: .9 oz.